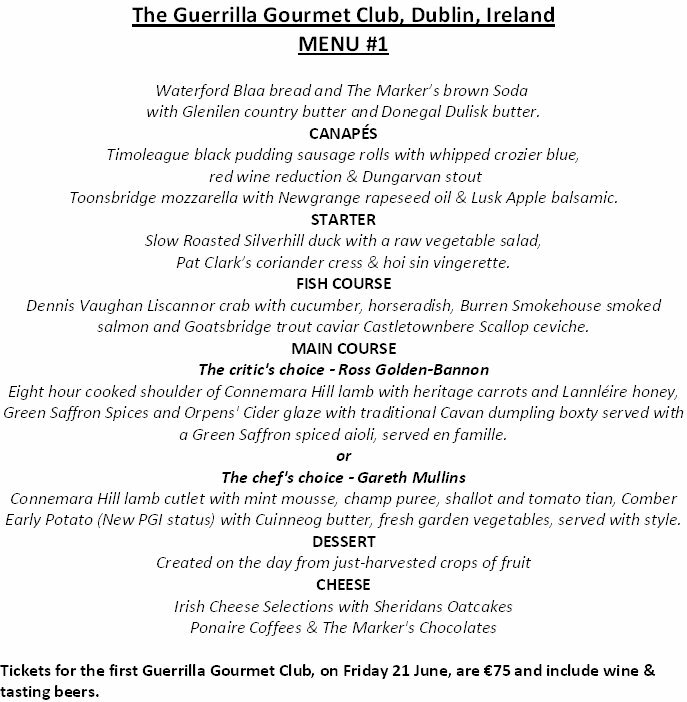 A new Irish Pop-Up Restaurant, The Guerrilla Gourmet Club, was launched last week in Dublin, by Irish restaurant critic Ross Golden-Bannon with Robert Lee Mulcahy. 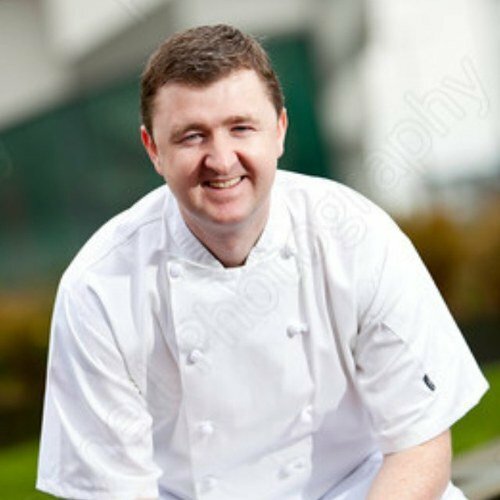 The menu has been created with Chef Gareth Mullins, executive chef at the 5 Star Marker Hotel in Dublin. The pair have joined forces with the prestigious Stephen's Green Hibernian Club, who will host the event on the summer solstice, Friday 21 June at 7:00pm. Based on the Irish tradition of the Meitheal, which is gaelic for "a community working together", each dinner uses well known artisan food producers (with national and international profiles) to support fledging artisan food businesses that are only starting out. The Guerrilla Gourmet Club also aims to introduce food fans to cross-border and cross county produce. Acting as a curator for renowned and little-known artisans, The Guerrilla Gourmet Club aims to raise the profile of the smaller producers. "For too long we've focused on the big, international firms arriving in Ireland, ignoring the vital role small native businesses play in keeping local economies flourishing," said Ross. “Their terroir is as much the local economy as it is the local soil. The Guerrilla Gourmet Club events will amplify this message to a wider audience with a dinner of sensational flavours." Ross Golden-Bannon is widely known in the Irish Food scene as he has been the Restaurant Critic at The Sunday Business Post since 2001. 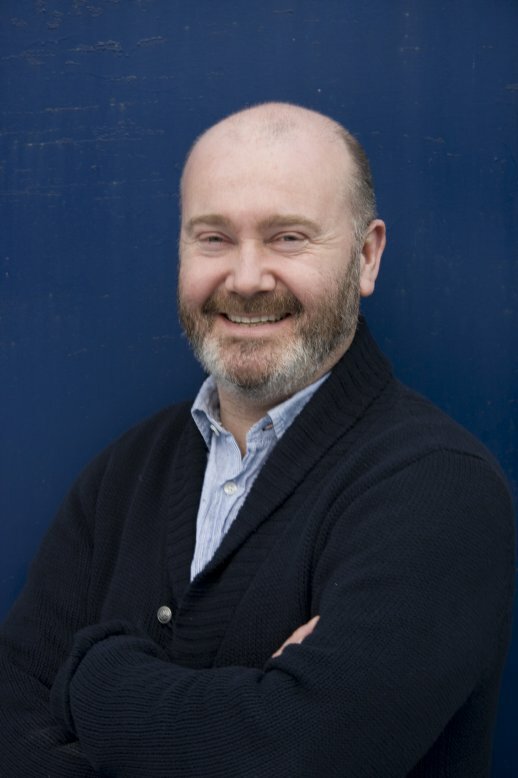 He was appointed editor of the Irish FOOD&WINE Magazine in May 2008 and he is the author of the ebook How to Write About Food. He was elected to membership of the Irish Food Writers' Guild in 2006. His partner in this venture, Robert Lee Mulcahy, is an entrepreneur, enterprise development adviser, food industry specialist and past President of The European Catering Association.